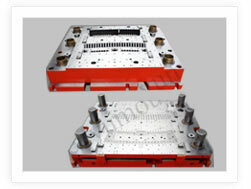 Captivating on the skills of our professionals, we are engaged in providing a huge assortment of progressive die for stamping. The progressive die for stamping is a feeding system pushes a strip of metal (as it unrolls from a coil) through all of the stations. In this category, we offer air condition compressor, generator motor, T straight motor, etc. 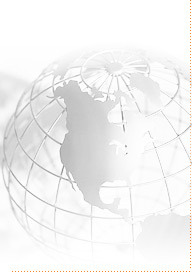 The offered products are available at market leading rates. Being technically updated and advanced firm, clients can avail from us application oriented air condition compressor that is configured with updated automatic compression and dumping function to ensures hassle free operations. 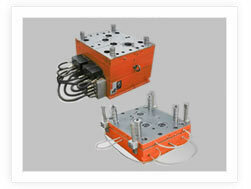 We offer them with varied ton capacities and can be easily installed in the required machinery or component. They are eco-friendly in nature and maintain the consistency in the environment. It also helps to maintain the air temperature. We are leading firm in the industry, delivering application based and technically based generator motor that are used to convert electrical power to another utility form. They are used to convert the frequency, phase of power or voltage. Our collection is application friendly and is acclaimed for easy installation. It ensures the rotation of machinery in the either direction that may be clockwise or anti-clockwise for reversing the power lines. Being the leading name in the industry, we bring forth quality based T straight motor that is fabricated with perfection and maintains consistency in performance. Our entire collection is abrasion resistant in nature and is used in automobile industry. Offered collection can be easily mounted in the desired area and are offered with advanced eight-cylinder combustion capacity. They are quality assured and are also delivered with after sales services. Quality and timeliness, being the ultimate aim, we bring forth thermostatically balanced wind turbine that is used to convert kinetic energy from the wind to electrical energy. It is outfitted with advanced blades that are in-turn connected with the main shaft which spins in most effective manner to produce electricity. They are used in commercial establishments for the generation of electricity thereby marinating the power cost. We are proud to introduce ourselves amongst the recognized entity in the industry, offering application based DC various frequency motor that is the perfect combination of inductance of coils and optimum mechanical inertia. They are ergonomically designed and can be easily installed as per the client utility. DC various frequency motor maintains the constant voltage and is executed in varied technical configurations. Being the leading name in the firm, clients can prevail application oriented U shape motor that includes a horizontal transducer and two vertical transducers. 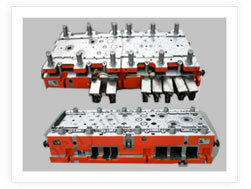 They maintains high load bearing capacity and are delivered with varied technical configurations. Offered collection maintains maximum output and ensures wide commercial utilization. It ensures maximum thrust force and are offered in budgetary limitations. Being the eminent entity in the industry, we deliver quality assured refrigerator motor lamination that are technically updated and are attached with advanced motor for hassle free operations. They ensure perfect stacking property and are well-insulated to maintain the long application area. 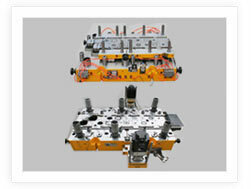 We offer them with big rotation machinery that is designed and developed using advanced methodologies. 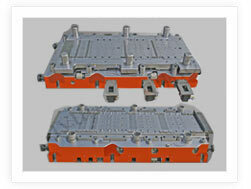 Refrigerator motor lamination is fabricated as per the set industrial standards prevailing in the industry. 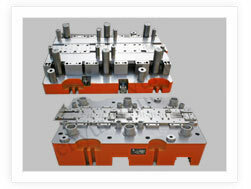 Catering the individual preferences of our clients, we bring forth application oriented rotor die casting that is manufactured with precision. 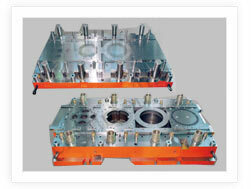 They ensure high tolerance capacity and are offered with varied thickness capacity. 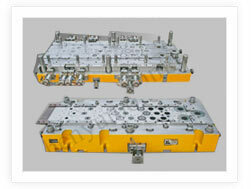 Offered collections are used for stamping purposes and are attached with advanced rotor. They maintain effective verticality and are offered with varied sizes. Rotor die casting is functionally updated and are reduced and subjected to various processing steps that are essential for developing their preferred grain orientation and varied sizes.